Naseptin can be used to prevent and treat nose infections caused by staphylococcal bacteria. The Online Clinic can prescribe Naseptin if you have a nasal infection. No prescription is required to be sent to us as we issue the prescription direct to our pharmacy after you complete a quick online consultation form. Naseptin is a white cream that consists of two active ingredients: an antibiotic (neomycin sulphate); and a disinfectant (chlorhexidine hydrochloride). The antibiotic kills the bacteria by penetrating them and disrupting protein production, which is required for the bacteria to grow and multiply. The dead and destroyed bacteria are then removed by the body's defence system. The disinfectant acts as an antiseptic. Naseptin cream is used inside the nose only. A small amount of cream placed on your little finger tip is used to apply the cream, first in one nostril and then the other. The same amount is used for people of all ages. When treating an infection apply the cream four times a day for 10 days; if preventing an infection use it twice daily. However, your doctor will tell you exactly when and how to use it. Avoid using Naseptin if you have just washed your face as it may not be as effective when mixed with some soaps. Try not to get the cream on your clothes as it can cause a brown stain on fabrics. Contact your doctor if you apply too much Naseptin or swallow any in error, and apply a dose as soon as possible if you forget to use it (unless it is about time for the next application). Children, adults and the elderly can use Naseptin, although tell your doctor if it is for a child or you are 65 years or older. Naseptin should not be used if you have an allergy to neomycin sulphate, chlorhexidine dihydrochloride, peanuts, soya, or any of the other constituents in the cream. Let your doctor know if you have hearing difficulties as Naseptin may worsen hearing. As with all medicines, inform your doctor of any prescription and non-prescription medicines that you are taking, have been taking, or may take. This cream is not known to cause harm to a baby if used when pregnant or breast feeding but advice should be sought before using it. Naseptin may cause skin irritation and redness (particularly when used over a long period of time), local skin reactions (contact dermatitis), hearing difficulties, temporary loss of smell or taste, and kidney problems (pain when urinating or blood in urine). If you have a severe skin irritation or reaction (e.g. redness, blistering), swelling of your face, tongue or throat, breathing problems, or dizziness seek medical assistance immediately as these may be signs of an allergic reaction. If you have an infection in your nose, then contact one of our experienced doctors for a free online consultation. 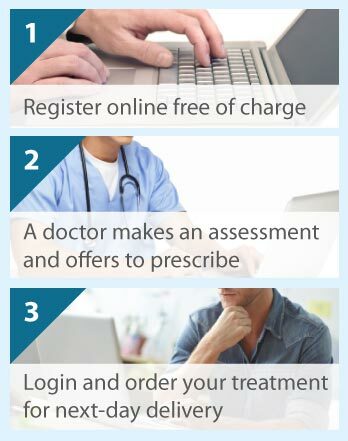 Simply click on the Free Consultation button and complete the brief online questionnaire to start your treatment.